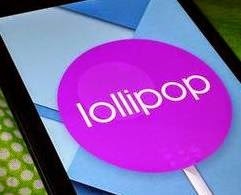 Google's Android 5.0 Lollipop or Android L has officially been made available to consumers just recently but new reports said the full rollout is delayed by some battery-draining bugs. Android L OS was launched on Monday along with the unveiling of the Nexus 9 tablet. It was expected to hit the Nexus 4, 5, 7, 10 as well as Google Play Edition devices shortly thereafter but so far Nexus owners are still not getting the update. Because of these, some reports put the blame on the beta version of Android L on Nexus 5, which purportedly caused a severe battery-drain issue on the device. The said problem was acknowledged by Google, in a forum thread on Wednesday. Google said, they are "aware of an issue affecting Nexus 5 users running Android 5.0 Lollipop which causes significant 'Miscellaneous' battery usage while Wi-Fi is enabled." As quick respond, Google has later issued a fix but this problem (not anymore) has apparently caused the company to delay the rollout of the complete Lollipop version to other Nexus devices. According to ZDNet, Nexus users running on KitKat will have to wait until November 12 to get the Lollipop update. Google has not uttered anymore comment on this matter. If reports are true, then the Android 5.0 Lollipop update will be delivered over-the-air to Nexus 7 automatically and should arrive in the coming weeks. So far, the first to get the Lollipop were those early owners of the new Nexus 9 tablet, who picked up the 8.9-inch slate on Monday. Rumor has it that the Android L will hit the entire Sony Xperia Z series line starting with the Z Ultra Google Play Edition early next year. Samsung Galaxy S5 owners may soon get their share of the new Android OS, which is reportedly expected to hit the flagship handset this December.